Adds a small issue if texture FX is in a disabled patch, sometimes would not resume. TextureFX that can use "wantmips" now do so (Edge, Blur, BlurDirectional, BlurGlow, BlurPerfector, DistortFlow, DropShadow, UnsharpMask) . They are all faster in that scenario. Requires vvvv beta33.7 or newer. Copy folder into vvvv directory, like you would do for addonpack or any other pack. Removed that comment, path are on b30 by default. Let me be the first to say- Yay! new tools - new horizons, thank you Mr Vux ! thanks vux ! we owe you so much ! thank you vux vvvvery much! you are great! but if i open an old patch, they are there, and they work, i can control c+v and use them,,, is this normal or i made a mistake on the installation ? and is there a way to convert a dx11 texture into a dx9 texuture to use the old patches ? for the dx9 nodes not showing it is normal. i would love to have the option to activate them as many times i want to copy paste something from a help patch for fast patching and i have to go to files and search them. Is your Hardware DX11 compatible? @vjc4 @colorsound : In next release you'll be able to filter normally, so you'll be able to view those nodes again. @Stix : are nodes appearing in nodelist? altough is dx11 heavier on performance? @geometrica: No "pipet" node except for OpenCV now, all DX11 stuff seems to be here fine. Is there a DX11 pipet? Sorry to be dense/blind, but I cannot find it in the node13 workshop DX11 rendering techniques I zip. Am I missing it? Thanks! @mediadog not sure if all the DX11 staff from workshops it,s uploaded, i used DX11 pipet while porting the vvvv.tutorials.mapping.3d so there should be a copy there for now. Strange thing on my laptop with AMD Radeon HD 6470M: when I try to set the renderer's input pins AA Samples per pixel to > 2 or AA Quality to > 0 vvvv 'freezes' (the UI gets really really slow), and the renderer stops updating. With some difficulty because of the unresponsive UI, I am able to reset these values, and then everything goes back to normal. You have to be careful with this two pins. Thouse buggers can brake render. @ft : I changed AA for next build, so it will be easier to use (Now AA Samples per pixel is an enum, and i removed quality, since it never looked like to make any difference). Also now feraltic is included as submodule, so check out should build out of the box. the only thing i'm not able to use is the facetracking of kinect (no dx9 and no dx11). The node becomes red after i activate rgb, depth and skeleton (but i think they are needed to facetrack). am i doing something wrong? or it's not working ? ...did anybody see pinOut for readback node  ? where are Kinect nodes for dx11 listed by vux? I can't find them in the nodes browser. Edit: I resolved installing Kinect SDK 1.7. Full x86/x64 build, with kinect/text and vlc for each architecture. Cube Texture Renderer (with option for single pass/multiple pass, and of course access to cube depth buffer). Texture Array Renderer (cube is a bit of a special case, but render to texture array allows you to set different cameras per slices, so you can do panoramics easily for example). Same as above, access to depth as well. The most recent (30.2) works fine on Win7 x64, but hangs vvvv on startup on both Win7 x32 and WinXP x32. Just sits at the grey splash square. Anyone else see this? 00:00:36 ERR : Exception occured during creation of plugin: Could not load file or assembly 'file:///C:\Program Files (x86)\vvvv_45beta30.2_x64\packs\DX11\nodes\plugins\VVVV.DX11.Nodes.dll' or one of its dependencies. An attempt was made to load a program with an incorrect format. 00:00:36 - : To help us track this error down, enable the ExceptionDialog via the menu or starting vvvv with /showexceptions. Ah seems you use the 64 bits version for vvvv, but i guess you downloaded the 32 bits for dx11. Please note that 64 bits for 30.2 is coming soon, just need couple more sorting around. this often fails and the catch clause is fired which sets the pointer to 0.
mr.vux, do you have an idea how to fix this? can you screenshot and post on github? hi first of all thanks again for the great work all the time! Just one problem. When I upgrade to the latest release all connections to quads are missing in my project. Is it somehow avoidable so that you can smoothly migrate projects over the upcoming DX11 releases? Anyone else had this problem? also i just tested and it works as advertised. ah okey I checked and you are right I installed b31 dx11 pack in b31.2 vvvv and replaced one day dx9 quads to dx11 quads. So there is no way around doing the same procedure again you are saying? not sure what you mean. anyway this is not a dx11 topic, so please move into forum if still a problem. 04:39:39 ERR : System.DivideByZeroException in VVVV.PluginInterfaces: Attempted to divide by zero. It is logged a few times per second and also makes "ML?" blink constantly in the Perf Meter. I am using 32.1 64bit with the latest DX11 pack release (05.12.13) and all this is happening while the rendering (using mre.mdmod 2.1) is working fine. The problem is that its making the TTY render useless for debugging, as this error gets logged so often. @seltzdesign : still need a help patch if possible, since giving me exception is not much help (sounds like you send a nil somewhere tho). I wanted to use DX11 videoin in b32 but it missed. I got the problem with "DX9toDx11" node issue, had any one happened? Now cant open vvvv. Just grey squer of vvvv opening permonently and nothing . Never use vvvv befor today. Maybe i`am doing smth wrong? @ujif: That's what happens to me if I try and run on a PC that the gfx card does not support DX11, like an older laptop. What graphics do you have? 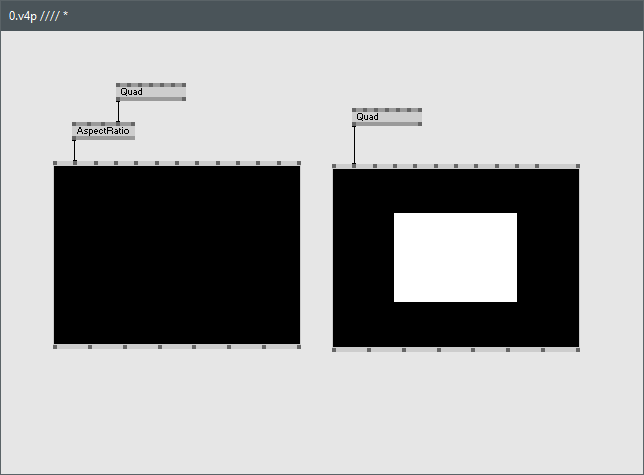 This is happening in a patch that is sending one layer to six renderers, three on each graphics card, using the ViewPort node to map the displays. The above happens for each of all six renderer nodes, not just the second card. I have updated nVidia drivers, and tried SLI on, off, and activate all displays with no change. By just changing the DX11 pack back to 33x, I do not see the problem (but then see spurious black textures from DX9->DX11 video). If needed I can try to isolate the problem into a patch, but as it can take hours to see the problem it may take a bit. This is a total and literal show-stopper - any help greatly appreciated! Where can I find c++ 2012 redistributable for Assimp???? I know its a simple question, but Ive been struggling for a long time to find it.. All DX11 nodes are not working, so I hope this could solve it..
@juan if you run setup.exe it will tell you if you have that installed and if not you can install it from there. it really only for the assimp nodes though. so if all others are not working, that will not help. In the latest version (33.7) Text nodes are red on two systems that have never had Visual Studio installed on them, they are OK on systems that have. This is with 33.7_x86 and 34.2_x86, in all cases setup.exe is all green. Running Dependency Walker on VVVV.DX11.Nodes.Text.dll shows two DLLs as missing: MSVCP120D.DLL and MSVCR120D.DLL. Note these are debug version of the C runtime libraries. Looks like this package is distributed as a debug build, and should not be? OK this is weird - I went to check if there was the same problem with 33.7_x64, and there was not. Went back and tried the x86 version, and the problem was gone there too. So after installing the x64 CRTs, the problem with the x86 version went away. So it looks like the x86 DX11 version of the text DLL is dependent on some DLLs installed with the x64 CRTs. So the important difference was not that VS had never been installed, but the machines showing the red nodes had never had an x64 version of vvvv installed before. Text (DX11.Geometry) isn't working for me though. Renderer in Girlpower is black. On Windows 10, x64, NVIDIA 1080.
vl breaks 3D text. probably because of dll version collision. added the 1.0.1 x64 pack to a clean install of beta5 and v4 wont start anymore. remove the pack and it works again. you should double check, if you downloaded the right version of the pack: x86 or 64. Also I recommend to use 7-zip for decompression.